What’s being said about Gate Keepers Advance? Request a Presentation or Call to Talk Further about ROD! entourage of people to carry our bags and shuttle us to our lodging. We arrived at the guest house to team of people waiting to welcome us offer tea and a scrumptious meal – at 1:00am! While I was there I preached to thousands of people. I was praised and applauded. I was told by a number of people that my words – spoken and written — had changed their lives. One young man repeated to me a sermon that I had preached a year ago. Another young man road a bus 10 hours to come meet me and sit under my teaching. Even before I left, plans were already underway for my return a year later. No one met us with flowers. Only one person helped carry our luggage and that was because he happened to be coming to the church at the same time as we arrived. I came home to plumbing problems to be resolved (my basement flooded 2 days before I left for Nairobi), financial uncertainty, a list of unanswered phone calls, and a do list as long as my arm. I remember having a conversation with my daughter about these contrasting realities of my life and telling her that after the first scenario, it can be challenging to deal with the latter. The only autograph I’m asked for at home is the one I provide for a check. The natural tendency of the flesh is to gravitate towards that which soothes your flesh and strokes your ego. …nobody applauds a mother for praying over her child while changing its diapers. …nobody writes an article about a student who chooses to NOT cheat on a test or smoke a joint. …nobody gives flowers to a business person who sacrifices profits in order to keep a promise to a client. …nobody interviews the minimum wage worker who faithfully donates time and money to worthy causes. You see, everyone wants to climb the podium to receive the gold medal, but not everyone wants to descend into the trenches to do the dirty work that gets you there. We all want the toned physique of a finely tuned athlete, but most are unwilling to pay the price for the six pack. 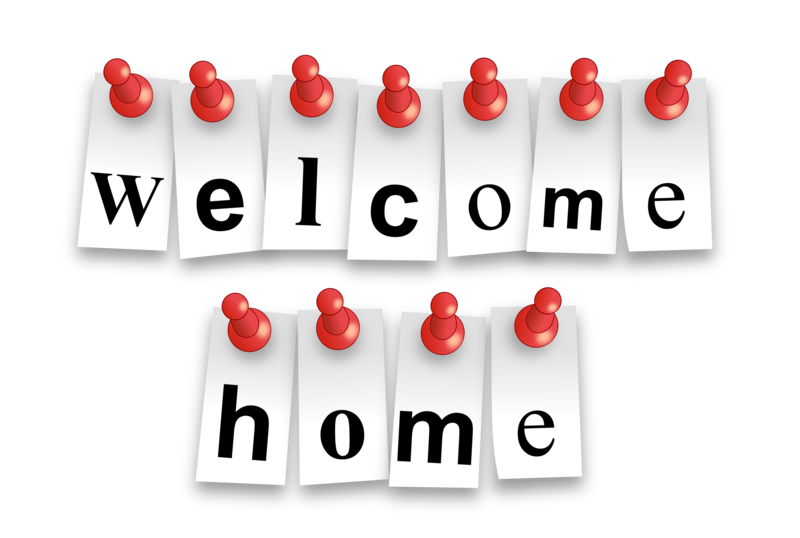 The “home” in “welcome home” is where you practice what you preach; where you perform what you proclaim; where you process what you pray. Home is where your character is forged, your faith in God’s promises are tested, your confidence in God’s word is tried, your integrity is exposed, and your resolve is resisted. Home is where you lay awake at night questioning if you are in God’s will. Home is where you practice patience with a stubborn, child, show grace to disrespectful spouse, or choose peace in the midst of the storm. In the absence of practice, performance and process there is no power, authenticity or authority to what you preach, proclaim and pray. It is the roots, not the fruit that makes the tree. The fruit is simply the evidence that manifests the tree’s identity. If you want to have a life that makes a difference, a life that brings glory to God, you will need to take care of home. Engage in the behind the scenes grunt work of prayer, meditation, discipline, forgiveness, Bible study/meditation/memorization that will give you the healthy roots that produce lasting fruits. If you want to have a life that is praiseworthy, serve your family, care for your friends, love your neighbors and handle your business with faithfulness and excellence. In order to be welcomed home, you must first welcome home. In his variety of leadership roles, Jason Perry has sensed the need for confident leadership in our families, schools, and churches. He founded Oak Tree Leadership as a way to provide training and resources to emerging leaders.